Sky Sports to broadcast all 31 games of the women’s tournament, including England’s seven group games live on TV. In partnership with the ICC, Sky Sports will broadcast all 31 fixtures from this summer’s World Cup for the very first time. 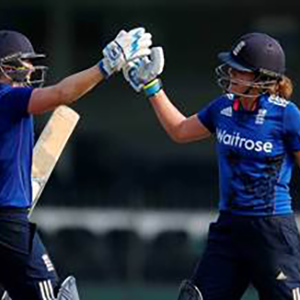 The matches will be available on TV or across Sky Sports platforms such as skysports.com and the mobile and iPad app, making Sky the first UK broadcaster to show every game of an ICC Women’s World Cup. Sky Sports will televise all of England’s group games live on Sky Sports Mix, meaning all Sky TV customers will be able to enjoy the excitement and drama of every ball, as England look to reclaim the trophy that they last won in 2009. Viewers will also be able to follow all eight international teams throughout the tournament as they compete to become World Champions, with live coverage of every game available on Sky platforms including the semis and the final. Ex-England Captain Charlotte Edwards will join Isa Guha in the studio for the final at Lord’s to bring viewers all the action as it unfolds. 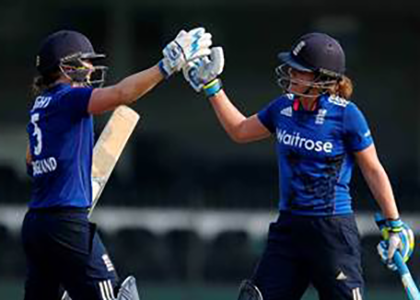 This is the first time that any UK television broadcaster has provided full coverage of an ICC Women’s World Cup. Sky is providing viewers with the opportunity to follow every over from all eight countries taking part, bringing the very best of women’s cricket to screen. Following the excitement of the ICC Women’s World Cup, cricket fans can also look forward to live coverage of the 2017 Kia Super League which will be broadcast on Sky Sports for the first time this summer. Sky will also broadcast England men’s Test matches against South Africa and the West Indies, as well as the NatWest T20 Blast, Royal London Cup and the County Championship. Viewers will be able to follow Sky Sports’ live coverage alongside regular commentators such as Nasser Hussain, Michael Atherton and David Lloyd. Big names from the England women’s team will also be joining the Sky commentary team throughout the summer. Sky’s coverage of both the ICC Women’s World Cup and the Kia Super League adds to an unrivalled schedule of women’s sport on Sky. In addition to the cricket, Sky Sports also offers viewers live coverage of women’s golf from the LPGA tour with all five majors for the first time including the British Open and the Solheim Cup, international and Superleague Netball and action from England Rugby’s Red Roses. All of England’s group matches from the ICC Women’s World Cup on Sky Sports will also be available to purchase on NOW TV. 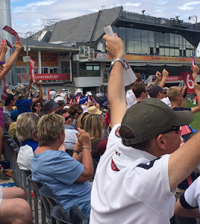 Fans will be able to follow Heather Knight’s team for just £6.99 per game or £10.99 for a Sky Sports week pass.